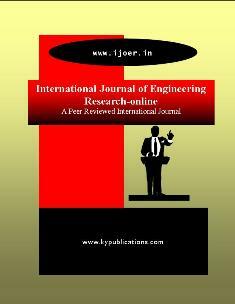 IJOER publishes research papers on design theory, Applications and methodology in all fields of engineering and allied sciences. The journal is designed for professionals in academia, industry and government interested in research issues relevant to design practice. Papers emphasize underlying principles of engineering design and discipline-oriented research where results are of interest or extendible to other engineering domains. General areas of interest include theories of design, foundations of design environments, representations and languages, models of design processes, and integration of design and manufacturing. Representative topics include functional representation, feature-based design, shape grammars, process design, redesign, product data base models, and empirical studies. The journal also publishes state-of-the-art review articles. IJOER is not limited to a specific aspect of engineering but is instead devoted to a wide range of subfields in the engineering and allied sciences. While it encourages a broad spectrum of contribution in the engineering sciences, its core interest lies in issues concerning material modeling and response. Articles of interdisciplinary nature are particularly welcome.